Sapphires and rubies are varieties of the mineral corundum, the hardest gem mineral after diamond. Small quantities of chromium in corundum cause rubies to be red. Sapphire is the name given to any other gem corundum. Varying amounts and combinations of iron, titanium and chromium cause the range of colours of sapphires, from blues to yellows, pink-oranges and greens. The name of this type of sapphire comes from the star effect caused by the reflection of light within the crystal. 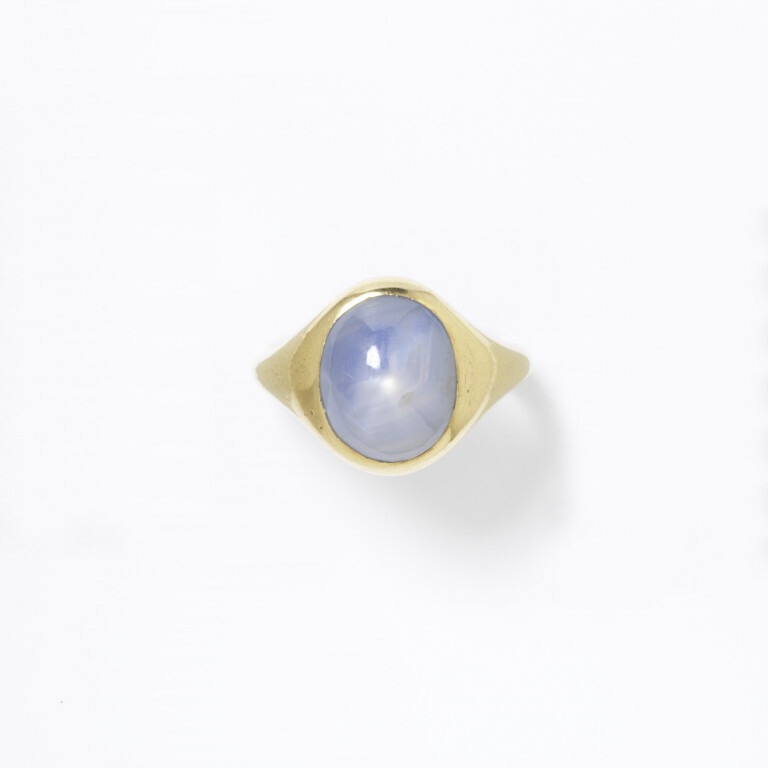 Ring with a pale grey blue star sapphire cut as an oval cabochon and set in a gold mount. Ring, pale grey blue star sapphire cut as an oval cabochon and set in a gold mount, made in Europe, 1800-1869.